The Samsung Galaxy Tab 3 8-inch is a bit better than the HTC Jetstream, with a score of 7.04 against 6.69. Both tablets we are comparing have Android OS (operating system), but Samsung Galaxy Tab 3 8-inch has 4.2.2 version while HTC Jetstream has Android 3.1, providing the user a couple additional features. The Samsung Galaxy Tab 3 8-inch is a newer tablet, and it is also lighter and way thinner than HTC Jetstream. 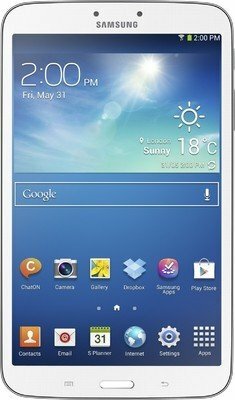 Galaxy Tab 3 8-inch has a better processor than HTC Jetstream, and although they both have a Dual-Core CPU, the Galaxy Tab 3 8-inch also has a faster graphics co-processor running at 1.06 GHz and 512 MB more RAM. HTC Jetstream counts with a bit more vivid display than Samsung Galaxy Tab 3 8-inch, because although it has a quite lower 768 x 1280 resolution and a little bit lower pixel density, it also counts with a larger display. The HTC Jetstream takes much clearer videos and photos than Galaxy Tab 3 8-inch, because it has a back-facing camera with a way better resolution and a much higher video quality. 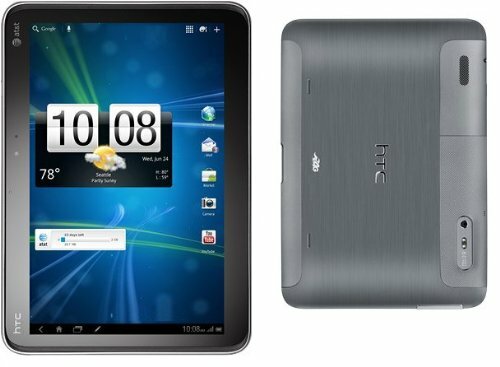 The HTC Jetstream counts with a greater storage for apps and games than Samsung Galaxy Tab 3 8-inch, because although it has a slot for SD memory cards that admits 32 GB smaller, it also counts with more internal memory. HTC Jetstream counts with longer battery life than Galaxy Tab 3 8-inch, because it has a 64% more battery capacity. Samsung Galaxy Tab 3 8-inch not only is the best devices of the ones in this comparisson, but it's also cheaper.